The final version of Windows 7 (RTM Build 7600.16385.090713-1255) is packed with awesome wallpapers which I have compiled in a pack, and shared it with you all. This new wallpaper pack from Windows 7 RTM Build includes 69 beautiful wallpapers – all in high resolution. 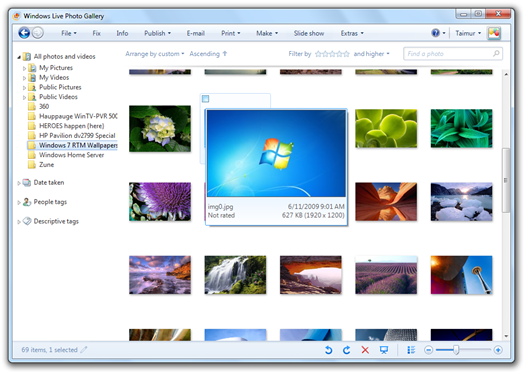 Windows 7 is the latest client version of Microsoft Windows for PCs and is the successor to Windows Vista. BTW, I really like the orb shot, you don’t happen to have a higher resolution version of that do you? In the future, there may be other american flag wallpaper answers, but they are unique. Since the different needs of different people who have the surgery to be seen by them, which is the right choice for them. thanks for the links! found them really useful! and the best thing that each person can choose individually which one is better. It is like a research paper for some aspects. BTW, I really like the orb shot, you don't happen to have a higher resolution version of that do you? BTW, I really like the orb shot, you don’t happen to have a higher resolution version of that do you? ?